Hey everyone! 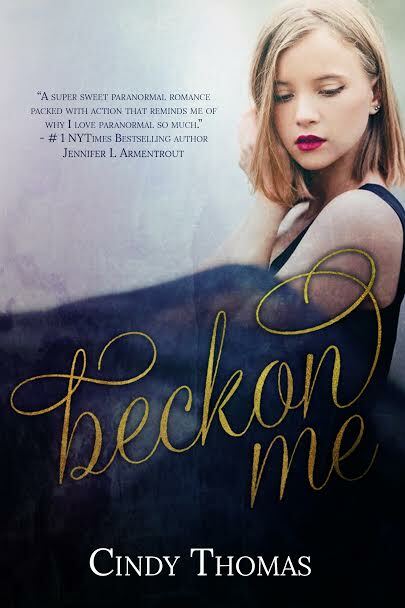 I’m so, so, SO excited to help celebrate the Book Birthday of Beckon Me by Cindy Thomas! Cindy is an amazing, amazing person and a wonderful friend. I’m so excited for her and for this book, which looks AMAZING! Cindy has dreamed of being an author since third grade when she won a writing contest for a story she wrote about her deceased great aunt. She hasn’t been able to ignore that dream since and chooses to spend most of her free time listening to the voices in her head and writing their stories. Outside of her writing and working for Spencer Hill Press, Cindy is happily married and has three young boys. She lives in PA, but was born and raised in NC. Even though she’s lived in the northern half of the US for ten years, she still very much misses grits for breakfast and every now and then goes on a country music binge.